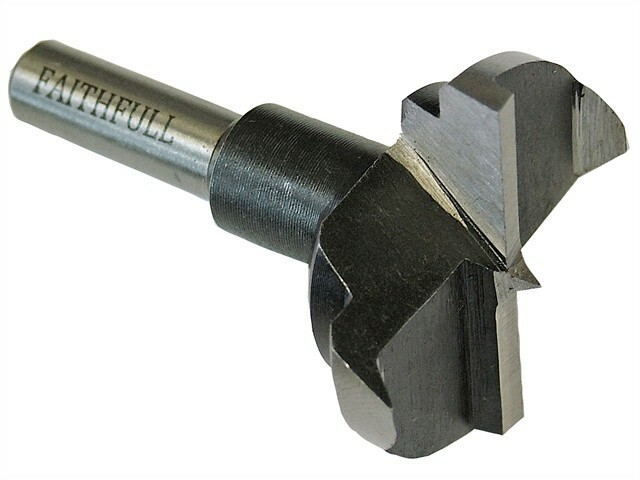 The Faithfull The High Carbon Steel (HCS) Hinge Bore Bit is specially designed for drilling blind holes when fitting concealed (blum) hinges in kitchen, bedroom and bathroom cabinet doors. Available in 2 sizes. Suitable for use on all natural woods and man-made materials such as blockboard, melamine faced boards, chipboard and MDF. High carbon steel (HCS) hinge bits are not recommended for repetitive work in man-made boards. These bits should always be used with a stand-mounted drill. The HCS hinge bores are available in 2 sizes.